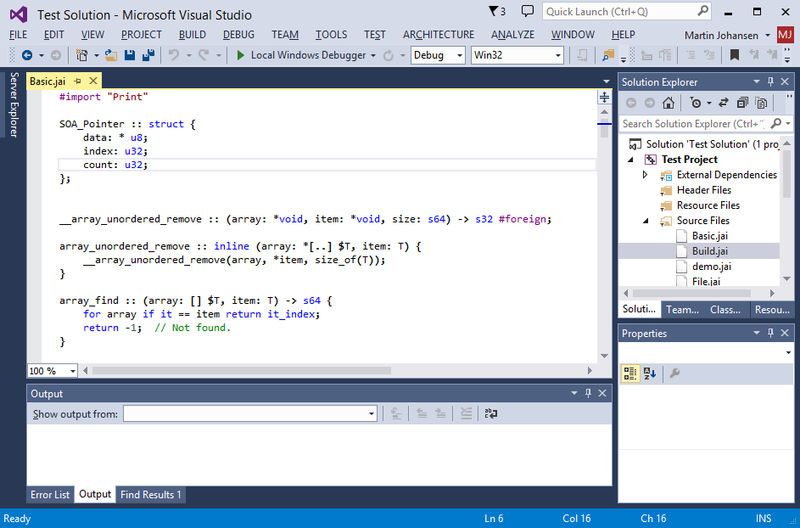 Jai Revolution is avilable from the Visual Studio Gallery within Visual Studio! Go to Tools > Extensions and Updates… and search for “jai”. Supports highlighting of jai source code files (.jai files). Supports Visual Studio 2013 and 2015. Highlighting now works correctly in dark themes. Tool tips added for some keywords. This is the first release of Jai Revolution; it is an alpha release. This is looking great! Could you publish a build for VS 2015? Hi Oliver, yes, I am also very exited about jai and the possibilities around it! We will have a look at putting out a VS 2015 build! Hi Oliver, we just uploaded a version that supports Visual Studio 2015!